Benjamin Lathbury, 30, of Rose Green Road, Bognor Regis, was fined £230 and must pay £30 victim surcharge, £85 costs, after admitting driving over the 30mph speed limit in Chalcraft Lane, Bognor Regis, on November 22, 2017. His driving record was endorsed with four points. Paula Hamilton, 57, of King Street, Emsworth, was given a community order with Rehabilitation Activity Requirement and fined £120 after being found guilty of failing to provide a specimen for analysis when required in Chichester on March 13, 2018. She must pay £85 victim surcharge, £625 costs, and was disqualified from driving for 42 months. She must also pay £50 compensation after being found guilty of assaulting a police constable in the execution of his duty in Chichester on March 13, 2018. Joanne Mullinix, 46, of Belmont Lodge, Belmont Street, Bognor Regis, was given a community order with Alcohol Treatment Requirement, Rehabilitation Activity Requirement, and eight-week curfew, electronically monitored, from 8pm to 7am daily, for assaulting a police constable in the execution of his duty in Hereford on August 6, 2018. She must pay £150 compensation, £85 victim surcharge. She was also convicted of disorderly behaviour while drunk in Hereford on August 6, 2018, and failing to surrender to custody at Hereford Magistrates’ Court on August 22, 2018, no separate penalties. Troy Ballard, 25, of Ramsdale Avenue, Havant, was given a community order with Building Better Relationships programme requirement, Rehabilitation Activity Requirement and eight-week curfew, electronically monitored, from 7pm to 7am daily, after admitting assault in Chichester on June 16, 2018. He was also fined £40 after admitting causing £200 damage to a wooden fence in Chichester on June 16, 2018. He must pay £85 victim surcharge. Jordan Feast, 26, of Charles Avenue, Chichester, admitted breaching a community order by failing to report for planned office visits on August 8 and 22, 2018. The order was revoked and he was dealt with for the original offences, receiving a £350 fine for assault by beating in Chichester on September 10, 2017, and a £230 fine for assaulting a police constable in the execution of his duty in Chichester on September 10, 2017. He must also pay £60 costs. Michael King, 36, of Ellesdale Road, Bognor Regis, was fined £40 and must pay £60 costs after admitting breaching supervision requirements following release from prison by failing to attend appointments on August 21 and 30, 2018, and September 5, 2018. Dragomir Borisov, 39, of Gordon Avenue West, Bognor Regis, was fined £260 and must pay £30 victim surcharge, £85 costs, after admitting drink-driving (51mg of alcohol in 100ml of breath) on the A24 West Grinstead on September 10, 2018. He was disqualified from driving for 12 months. Luke French, 26, of Sadlers Court, Winnersh, was fined £500 and must pay £50 victim surcharge, £85 costs, after admitting drink-driving (50mg of alcohol in 100ml of breath) in Fordwater Road, Chichester, on September 8, 2018. He was disqualified from driving for 12 months. Milly Newman, 23, of Edburton Road, Edburton, was given a community order with two-month curfew, electronically monitored, from 7pm to 6.30am daily, after admitting drink-driving (104mg of alcohol in 100ml of breath) in Deanery Close, Chichester, on September 10, 2018. She must pay £85 victim surcharge, £85 costs, and was disqualified from driving for 23 months. 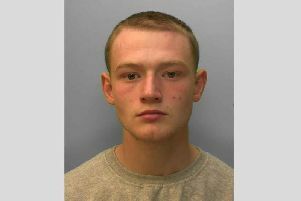 Callum Brundle, 25, of Bignor Park Road, Bignor, was given a community order with Rehabilitation Activity Requirement after admitting sending a Facebook message conveying a threat to cause distress or anxiety in Chichester on September 7, 2018. He was also given a restraining order and must pay £85 victim surcharge, £85 costs. He also admitted two charges of breaching a suspended sentence order. George Lehane, 24, of Colts Bay, Bognor Regis, was fined £250 and must pay £50 compensation, £30 victim surcharge, £85 costs, after admitting assaulting a police constable in the execution of her duty in Bognor Regis on August 27, 2018. He also admitted resisting a police constable in the execution of her duty in Bognor Regis on August 27, 2018, no separate penalty. Steven Wooldridge, 37, of Nappers Wood, Fernhurst, was fined £80 and must pay £50 compensation, £30 victim surcharge, £85 costs, after admitting assaulting a police constable in the execution of his duty in Fernhurst on April 24, 2018.